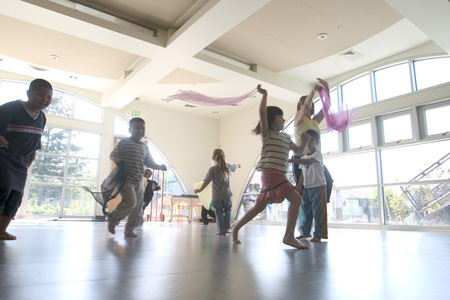 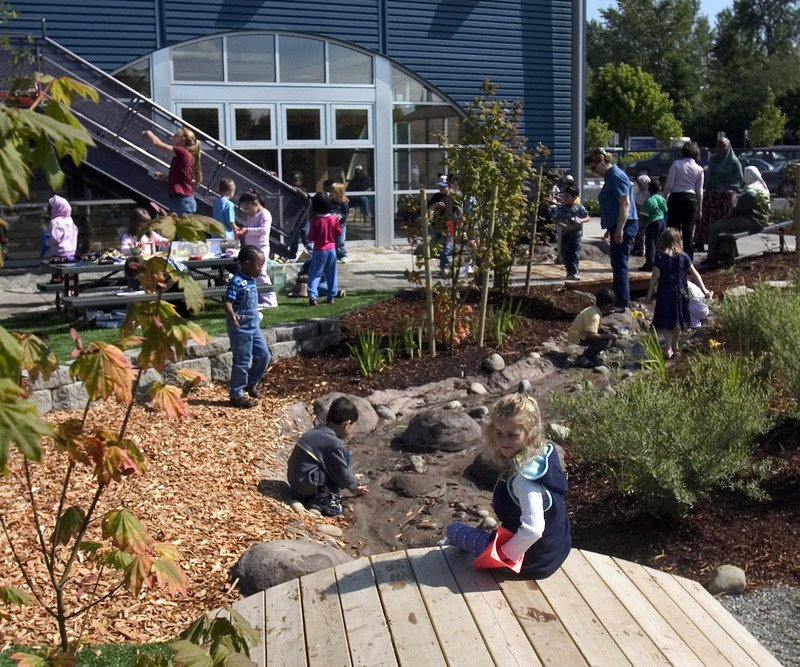 The Kent Family Center addresses the need for community facilities and programs in low–income communities in South King County. 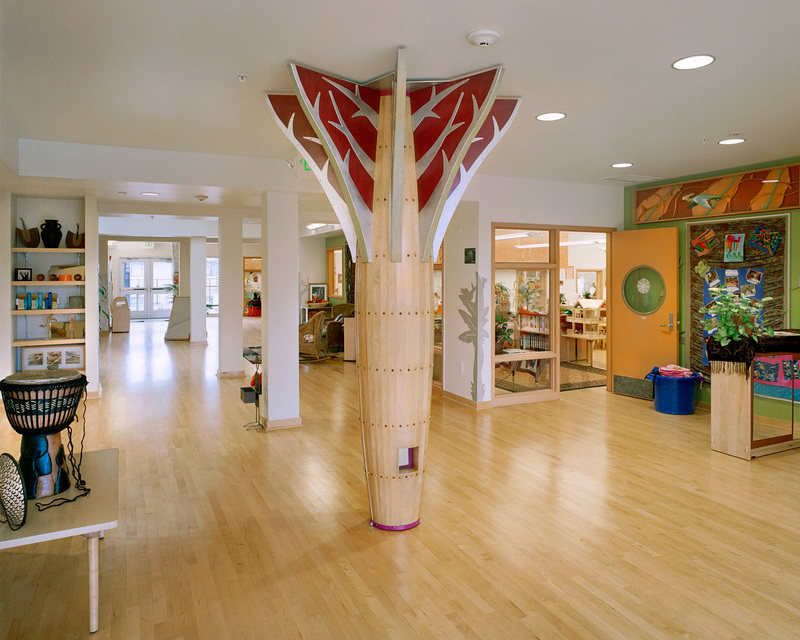 The building conveys importance and permanence without sacrificing play. 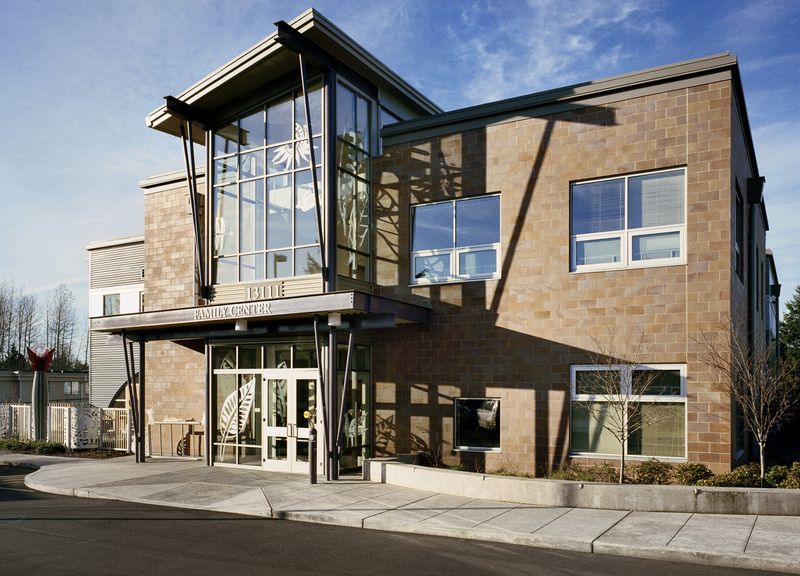 Masonry and brightly colored steel define the public entry, while colorful metal siding and painted steel elements in the interior and Head Start classrooms strike an upbeat tone. 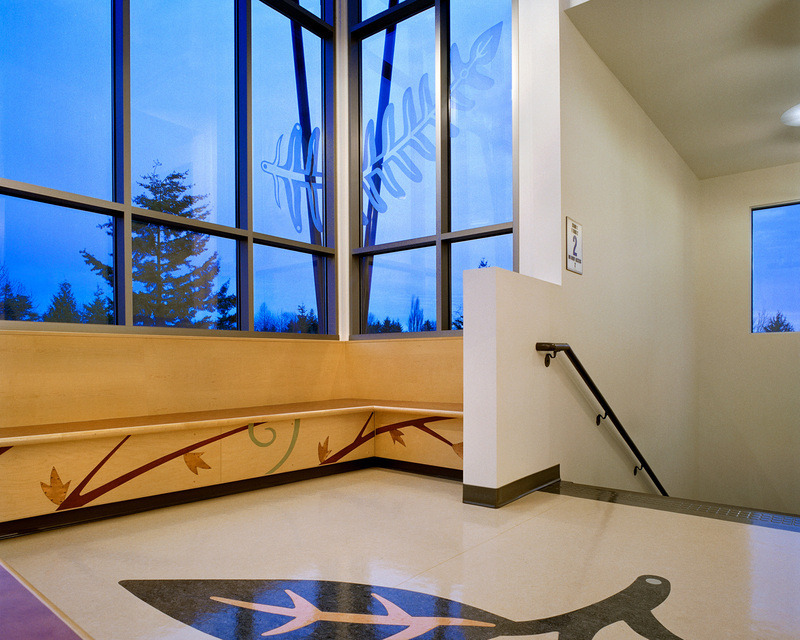 Visibility and natural lighting are key components of this design. 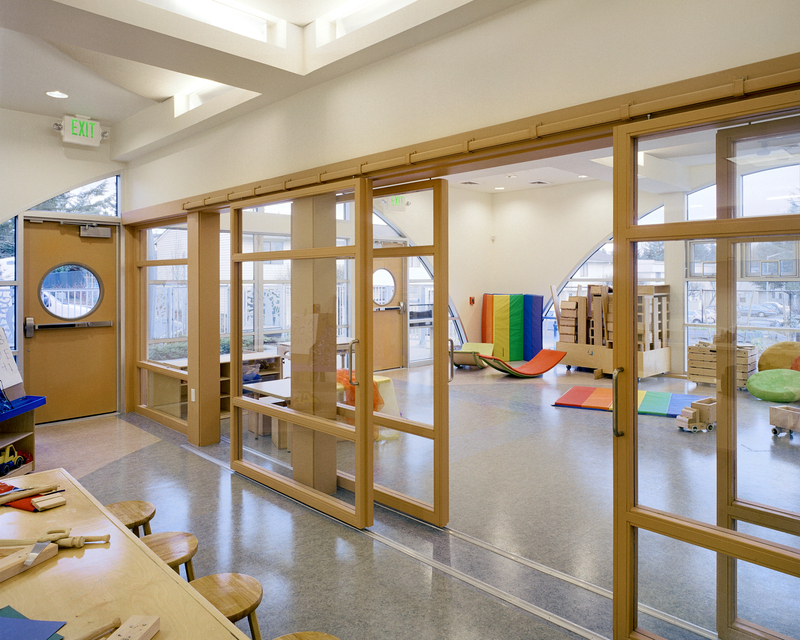 Interior glass partitions lend visibility to the rooms they demarcate. 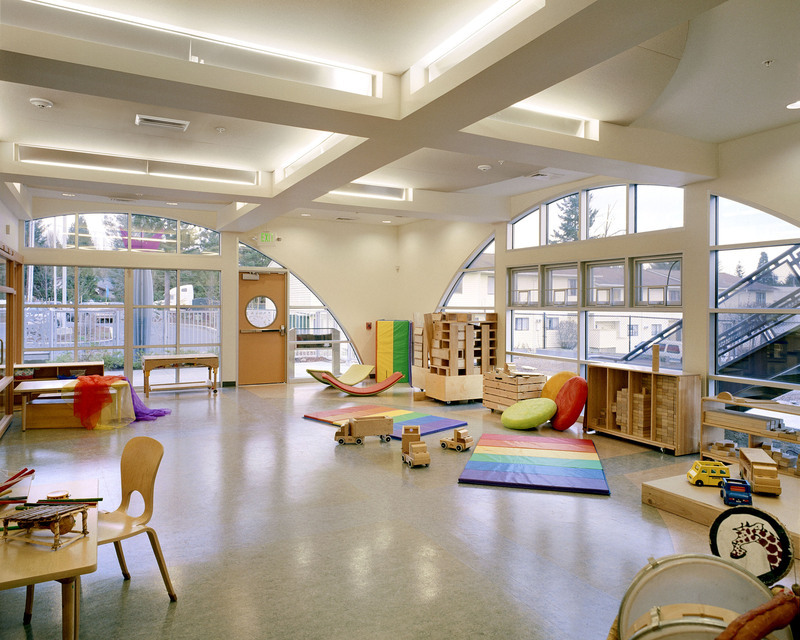 Natural light spills from exterior to interior, reducing energy usage while promoting a cheerful and productive atmosphere.